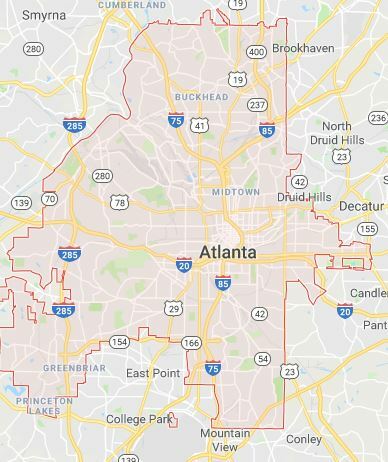 Georgia Jacks Carpet Cleaning, can professionally clean and protect your fine upholstered furnishings. After careful inspection and testing of the fabric, we use a combination of hand and machine cleaning with specially formulated green certified products that provides a safe and thorough cleaning. 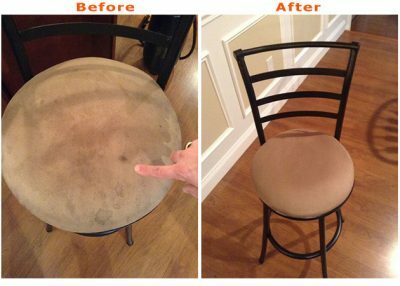 Whether your furniture is made of durable synthetics, leather, or natural fabrics, we will make them look like new again! So when was the last time that you had your upholstery cleaned? We are trained and certified to clean all fabrics, textiles and upholstery. We offer a 10-Step Cleaning Program for your upholstery. Furniture and other upholstery are a breeding ground for harmful microbes, which can cause allergies, sickness and offensive odors. The Georgia Jacks Carpet Cleaning “Low Moisture” organic cleaning system restores the appearance of your furniture without over-wetting or using harmful residue attracting detergents. Our Certified Cleaning Specialist will expertly test your fabric to determine the fiber type and also to check dye stability. Fabric testing gives us the information that we need to ensure that the proper cleaning method is employed when the cleaning is preformed. Additionally, our Cleaning Specialist will inspect your upholstery for soiling conditions, pre-existing damage, potential permanent staining. 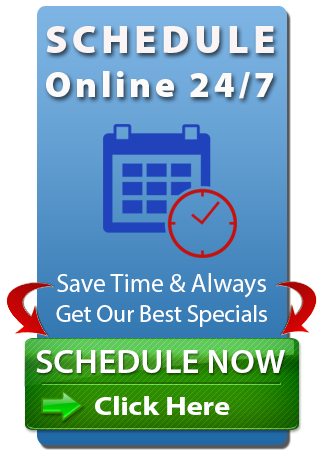 Our Cleaning Specialist will prepare the area immediately around the upholstery that we will be cleaning. We will put down a protective drop cloth and move any items in the immediate area to protect your valuables. Your upholstery will be pre-vacuumed prior to cleaning to remove the dry particulate soil trapped on the fabric. Dry soil removal is one of the most important steps in the cleaning process. Your upholster will be pre-treated for more effective soil removal and to break down soil. 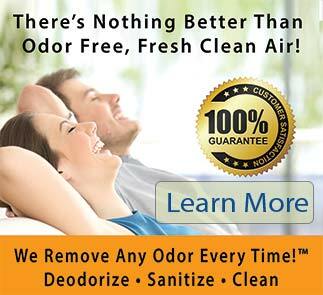 The pre-treatment that we use is soap free, odor fee, hypo-allergenic, non-toxic with no VOC’s and no off-gassing. Our pre-sprays are made with all natural ingredients and are one of the safest products on the market today. Additionally, these products are Indoor Air Quality Approved by HBIA, Green Seal Certified and are certified by the SOA through the Carpet & Rug Institute (CRI). Our Cleaning Specialists will pre-spot any potentially difficult spots with special solutions to increase chances of removal. We will pre-groom your fabric with gentle fabric brushes to increase soil removal during the extraction & rinse step of the cleaning process. 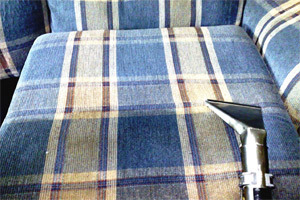 Every piece of upholstery cleaned is pH balanced to maintain it’s soft fresh feel. Any remaining spots will be treated with special stain removal solutions. Potential permanent stains pointed out during the inspection process may not be able to be completely removed. The upholstery will then be prepared for drying with a gentle brushing of the fabric. The post grooming will help to lessen the drying time of the upholstery. Our Cleaning Specialists will review the cleaning results with you to ensure that you are pleased with the results. 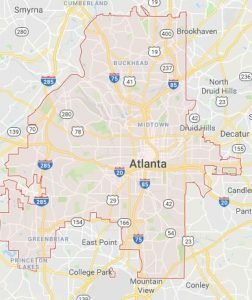 We Proudly Serve home and business owners throughout The Greater Atlanta Area.